tuesday madruga the alarma of dufry in caya betico croes owing to bay in funcion hour cu cholernan owing to destrui one glass of the business y owing to enter for steal in the lugar. at once one security owing to present n’e lugar y owing to descubri cu the ladronnan owing to lever via of one goot y owing to bay n’e of 2 floor, then yonder on owing to break one glass for enter in the business. owing to come descubri also cu had one box fill cu mercancia cla for bay cune. kico exactly owing to bay cune in day will achieve know hour end of inventarisa. police is investigando the caso here, already cu the lugar here also have camara of seguridad. y so soon the thief will is in grab of husticia. do not first trip cu dufry in caya betico croes is achieve the visit indeseanan here. hour cu owing to close the shelter, much comerciante owing to tell cu at last will have one end n’e cholernan cu in oranan of night is terorisando centro of beach, but esnan cu owing to stay, have to of perfume for can stay smell sweet. travis bernadina of travis fire works at ponton owing to comenta on the ladronicia cu did take lugar at his establecimento yesterday marduga. past owing to count ; cu antosocialnan owing to break his lugar in oranan of marduga, they owing to wing one van cu was tranca the entrance at the container, owing to clip two candal y owing to enter the container. the ladronnan owing to bay cu 4 pagara of 1 miyon tiro y several flowerbed cu was bendi end for show. near of this travis bernadina owing to comenta cu the throw is one some slow y mirando the kierbro, did take the decision for her two dianan here reduci they prijs cu 20% for so try sell all klapchi more liher possible. complaint owing to wordo entrega at police y they're mirando look at kico can saca afor already cu all the flowerbeds of travis fire works is mark. one madam cu owing to leave for of his cas among 7.30 for 11.30 of night, owing to achieve visit of thief besides cu owing to break his schuifdeur, owing to bay cu enough articulo. police owing to bay monday 00.04, at one cas at north for one kiebro y ladronicia. n’e sitio, police is talk cu the owner the.c. naci at the netherlands of 31 year, that is tell police cu past owing to leave 7.30 of night, y 11.30, hour cu past owing to go back, past owing to notice cu ladronnan owing to enter his cas, kibrando the schuifdeur behind. the is tell police cu they owing to bay cu one nintendo, television of 30 inch mark panasonic, two celular, uno nokia y the another sony erickson, 2 i-pod one color of silver y the another roos, one cartera of cuero of colebra cu several documento, one cartera blanco in cual have 1200 guilder y 500 euro, two bancomatico, several articulo more, of cual the will send one list after. t.o.d. owing to come n’e sitio p’e investigacion necesario. texasmom - You are spectacular. Thank you! was more or less 8 or y mey of night, cu informacion owing to enter of one accidente important on the caminda of ponton, at height of bow-bow restaurant. at arrival of first patrol policial, is resulta of is one accidente where cu one car owing to strike one peaton (pedestrian). the peaton here, that owing to stop his car near of caminda, lagando his madam sit in car, owing to descend for bay cumpra algo n’e restaurant menciona. was during cu the difunto owing to dicidi of cruza caminda, cu past owing to being alcansa for one car, cu owing to dal’e, but after will owing to follow core bay. the victima owing to being take away cu urgencia for hospital y more or less 8or y 57 dr. winterdaal owing to constata dead of the victima, that owing to resulta of is hely saul sulbaran, naci at venezuela, day 27 of august 1952 (57 aña), that was live in dadelstraat 52, dakota. of the form here, aruba owing to conoce his first dead in trafico, neither 24 hour after cu aruba owing to enter year new. is as inspector ricardo muller owing to declara: “ban let this t’e first, but also the ultimo of year”. after of the mature owing to succeed detene the sospechoso, the conocido comerciante, nel h. of 81 year, that owing to strike the victima y owing to bay his cas. 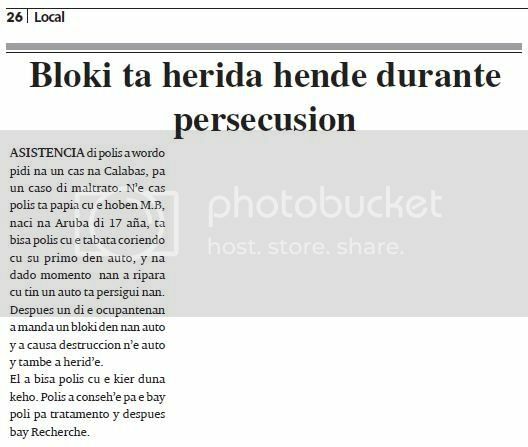 is being tell, cu past owing to bay cas, for avisa his family for they go back n’e lugar of the accidente, but already police owing to arrive his cas end. owing to haci the test of blow for termina have alcohol in game y kico precies owing to sosode. the test of alcohol, the not can owing to haci, mirando his edad, for cual owing to hib’e hospital, where did take his blood, cu will being send the netherlands for test cuanto degree of alcohol had in his blood. the not was show sober, although cu nel h. owing to admiti of owing to strike some drinks. intencion of fiscal was for detene y encarcele, but unabes at hospital, nel h. owing to become bad y doctor owing to recomenda for not haci this, because here is deal of one paciente of curazon y have one marca-paso end. 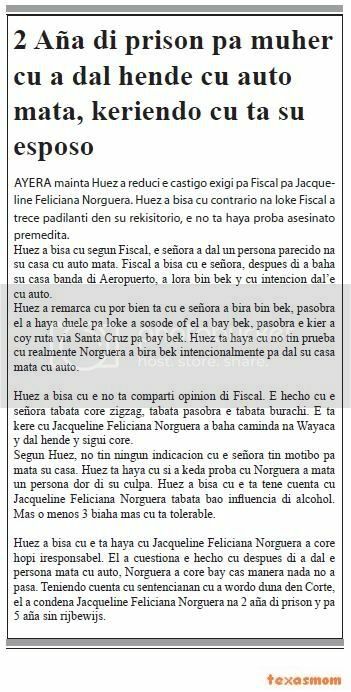 owing to base of this, fiscal owing to dicidi for not detene, but for keep result of the investigacionnan necesario, y finalmente huez will have cu dicidi. thing owing to calling atencion t’e mature cu more or less 50 year happen, the same nel h. on same caminda, owing to strike one madam of surname kelly kill. the conocido comerciante nel harms of 81 anja of edad owing to stay deteni tonight sospecha of owing to strike a cu car cu consequencia fateful. polisnan owing to achieve informacion of the number of car cu will owing to strike the person, that will was crusando caminda. click read more for more detayes. polisnan owing to detene the comerciante, hibe hospitaal for take sample of blood for check if the is below ; influencia of alcohol, because ela tell of not can blow for motibo cu ela cabi haci one \"by pass\". after polisnan owing to return cu the comerciante at hospitaal for lage confronta the curpa without life of the victima. famianan of the comerciante owing to tell cu the do not good of salud y cu apparently elo owing to become bad hour cu ela strike he. investigacion will have to demostra if the comerciante was conciente hour of the desgracia or not. famianan of the victima at hospitaal owing to tell cu the comerciante will owing to strike they being keri coriendo duro y owing to bay lage throw near of caminda as nothing not owing to sosode. even they're insisti cu the impacto was so strong cu the cadena of the victima owing to being achieve in the car. after of the proof of blood polisnan will dicidi if the comerciante will wordo encarcela or not. at previous to lugar one good anja. my memory is fallando? ?esaki do not the nelharms cu enough anja happen owing to kill one senjora on self one caminda of ponton. history is ripiti?? the conocido comerciante nel harms of 81 anja of edad owing to stay deteni after of the desgracia cu did take lugar at height of bow bow restaurant cu consequencia fateful. is resulta cu the self was the person cu owing to strike the peaton (pedestrian) cu car y after follow core bay lage behind. click read more for more info. do not first times cu the same comerciante here owing to arrive of haye in one desgracia fateful on the same caminda here. look like cu the was at home of one primo y owing to admiti at police cu ela strike two whisky but not cu the was sober. berdad ela feel cu ela strike in algo but after of the impacto the do not corda nothing more. mature is cu harms was on caminda of ponton direccion oranjestad y not owing to see the peaton (pedestrian) is crusa caya. ela dal'e cu his car, windshield owing to break y he owing to bay cay on one distancia enough far for of where the impacto did take lugar. the impacto was so strong cu even the cadena of the victima owing to bay cay in car of comerciante. ela tell polisnan cu after cu ela ripara cu ela strike in algo ela forget all cos, but if ela corda con for arrive his cas at once. 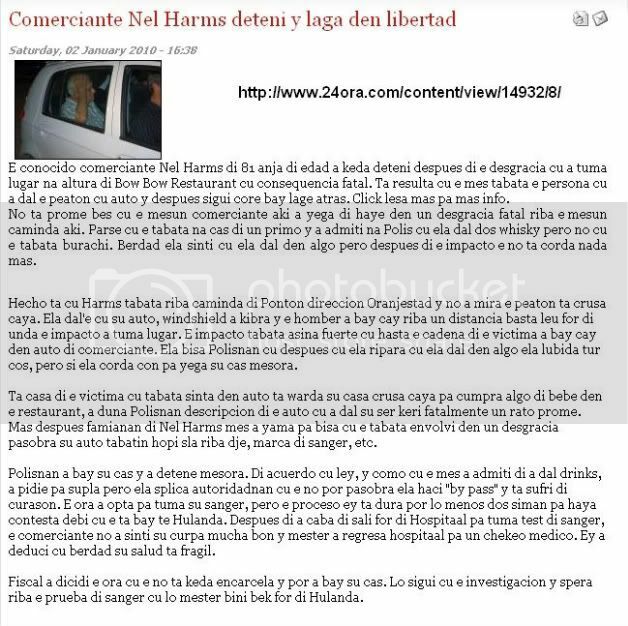 is casa of the victima cu was sit in car is keep his casa crusa caya for cumpra algo of drink in the restaurant, owing to give polisnan descripcion of the car cu owing to strike his being keri fatalmente one rato first. more after famianan of nel harms self owing to calling for tell cu the was envolvi in one desgracia because his car had much sla on dje, mark of blood, etc. polisnan owing to bay his cas y owing to detene at once. of acuerdo cu ley, y because; cu the self owing to admiti of owing to strike drinks, owing to pidie for blow but ela splica autoridadnan cu the not can because ela haci "by pass" y is abide of curason. the hour owing to opta for take his blood, but the proceso ey is last at least two week for achieve contesta debi cu the is bay till the netherlands. after of owing to end of leave for of hospitaal for take test of blood, the comerciante not owing to feel his curpa child good y have to owing to return hospitaal for one chekeo medico. ey owing to deduci cu berdad his salud is fragil. Many photos at the links above. this is one ehempel cu despite cu aruba conoce leynan laboral estrecho y inspectornan of departamento of job, tog in sector priva have donjonan of work cu is abusa of trahadornan foreigner. is deal of jovennan trahador cu is leave decepciona cu at aruba is existi esclavitud modern, caminda cu leynan is wordo burla of form fine for earn coin over of back of hendenan cu is in one situashon vulnerable y not know where for bay cu they experencia bad. in caya big have one studio of potret, cual donjo have the reputashon of is deal trahadornan as esclavo, y is believe cu the can follow cu his practicanan inlimita without cu none person can hasie nothing. trahadornan foreigner, particularmente muhernan young of origen colombiana, is enter y leave the business. none do not stay largo for stay wanta the abusonan. lastimamente, cu cada cara new cu enter for look for work the is probecha of new. the relashon of work is cuminsa cu one miss of cualkier contract or palabrashonan concreto. so never the donjo not can wordo complain legalmente for lokual the is make. the condishonan laboral is break all ley of aruba, at instant cu empleadonan is work among 10 for 13 hour y half for day bao of preshon y without descanza, for one salary of less of 5 guilder for hour. empleadonan is wordo obliga for wanta hungry have hour till tres’or of nightfall first cu they achieve one chens for bao of presion come 10 minuut, for after reanuda work of new. the empleadonan is achieve they self is wanta maltrato caminda cu the donjo of work is zundra they fast of cliente y push y treknan fysicamente, algo cu none aruban will not permiti. porcierto the same person here is aserca the empleadonan sexualmente bao presion cu they will lose part of they payment or they work if they not satisface they donjo of work. besides the empresa is employ children of scol of 15, 16 anja for disfraza in costuum of figuranan of cartoons, cu is earn supuestamente 10 guilder for hora. lastimamente they're wordo change cada hour for one another child. at end of one day largo, cu the children is pendiente of they side job, they're go back cas cu only two or three hour pay, esta only the oranan cu they was disfraza. not despite cu aruba conoce one salary minimo, till even empleadonan “vast” is ricibi less, bao presion cu they can lose they work facilmente y cu in the temponan here is dificil for achieve one work. the caso of the fotostudio here is simplemente one ehempel of what is happen at we island in sector laboral. the realidad of much foreigner cu is aporta at we economia is less beautiful cu much person is think. 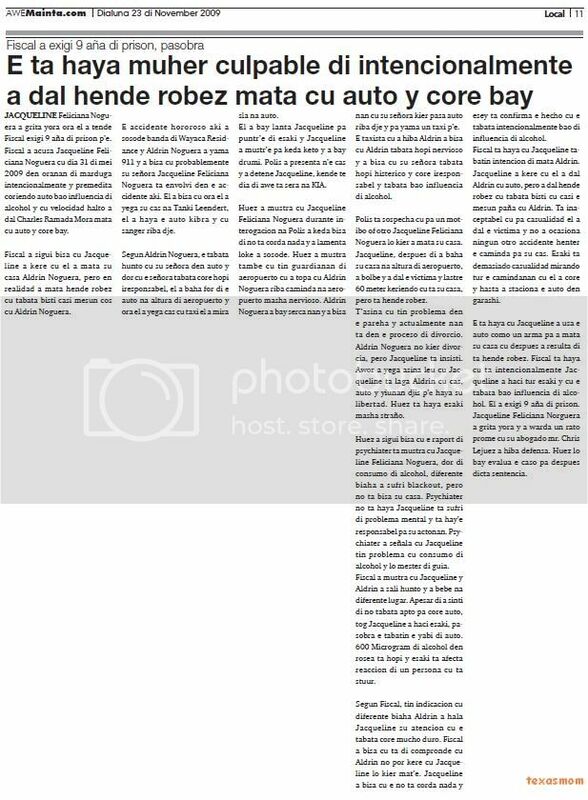 despite of all cos much person have the confianza cu departamento of job will not permiti for abusonan so follow happen at aruba, caminda posiblemente more dunadornan of work is bypass structuralmente leynan laboral for exploita trahadornan. 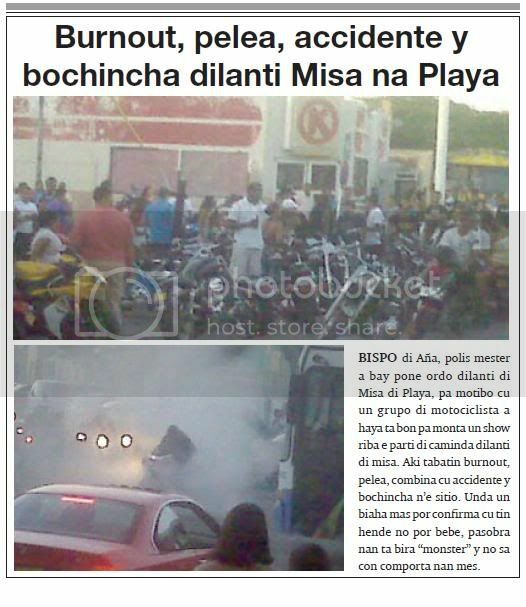 bispo of year, police have to owing to bay place ordo fast of catholic of beach, for motibo cu one are of motociclista owing to achieve is good for monta one show on the part of caminda fast of catholic. here had burnout, action, combina cu accidente y ado n’e sitio. where once more can confirma cu have person not can drink, because they're become “monster” y not know con comporta they self. during cu police of beach was patruyando in caya betico croes, they're see one biscicleta stop pafo of the business, compra y venta of celular. at once police owing to bay controla y owing to see one man is march in the business. as cu past owing to see police, past owing to core sconde behind the toonbank, but police owing to mire y owing to bise p’e leave. past owing to stay deteni y owing to resulta cu is one such m., but the does not owing to give his name. police owing to listra at his curpa y is haye cu one cartera in cual have and.d. y carchi of owing to.z.v. y also one bancomatico at name of he carl frans. police owing to detene y owing to hibe for recherche, where they will saca ‘fo, that the is. the thief here owing to destrui the door of the business y owing to enter steal in the lugar. police owing to haci his maximo attempt p’asina succeed achieve the owner of the business, but without result. again is bay one suplica at doñonan of business for let one paper cu they number of contacto in the business where cu police can mire y so can enter in contacto cu they. police owing to evita cu the thief owing to bay cu one cantidad of celular y one cantidad of asesorio. asistencia of police owing to wordo ask at one cas at calabas, for one caso of maltrato. 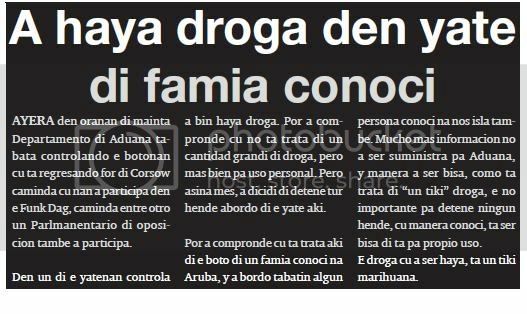 n’e cas police is talk cu the young m.b, naci at aruba of 17 year, is tell police cu the was coriendo cu his primo in car, y at dado instant they owing to ripara cu have one car is persigui they. after one of the ocupantenan owing to send one bloki in they car y owing to cause destruccion n’e car y also owing to herid’e. past owing to tell police cu the wanted give complaint. police owing to conseh’e for her bay poli for tratamento y after bay recherche. centro of alarma is ask police of north for bay diahuebs 5.12 of madruga, at one cas at sabana pound villas, where one person do not give sign of life. at arrival of police, ambulance already was n’e sitio. the muher is tell police cu for 3’or of madruga, past owing to bay cu his casa poli, because; cu the had dolor in pecho. at poli they owing to dune paracetamol y owing to mande cas bay sleep. one hour after the madam owing to bay controla his casa y owing to see cu the do not breathe y owing to resulta cu past owing to fayece. for 6.30 doctor lin owing to constata dead of he eddy rodrigues peralta, naci at sand domingo day 23 of december 1963. (46 añ). paz at his remainder. Paracetamol (INN) (pronounced /ˌpærəˈsiːtəmɒl, ˌpærəˈsɛtəmɒl/) or acetaminophen (/əˌsiːtəˈmɪnɵfɨn/ ( listen)) (USAN) is a widely used over-the-counter analgesic (pain reliever) and antipyretic (fever reducer). It is commonly used for the relief of fever, headaches, and other minor aches and pains, and is a major ingredient in numerous cold and flu remedies. In combination with non-steroidal anti-inflammatory drugs (NSAIDs) and opioid analgesics, paracetamol is used also in the management of more severe pain (such as postoperative pain). the owner of the office of landsloterij in middenweg, is ask asistencia of police diahuebs nightfall 4’or for one are of young man y muher cu is haci fastioso. among the hobennan had uno onbeschoft y alabez sober cu owing to break the door of the business cu skop. hour cu the owner owing to bay talk cune, past owing to altera y comporta his self onbeschoft. police owing to see cu the young was much sober y owing to detene for drunkenness y also destruccion. presencia of police of north owing to wordo ask diabierna 2.30 of madruga, in chino latin for one caso of ladronisia. 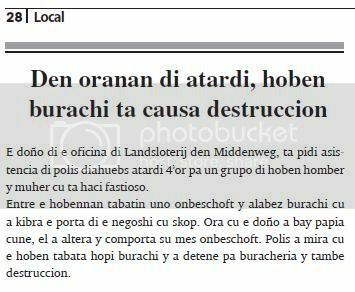 eynan one trahador is tell police cu past owing to place his celular charge on the toonbank y one rato cu past owing to become for busca one cuminda, the celular owing to disparce. one witness owing to tell police cu past owing to see the muher q.m.a. coy the celular y owing to bay cune in bathroom. in bathroom, past owing to saca the cel for of his estuche y owing to throw the estuche afo via of window y owing to lora the cel in paper of w.c. y owing to sconde behind w.c.
hour cu police owing to talk cune past owing to tell cu the not have the celular. owing to resulta cu the is one prostituta cu is work in one bar. police owing to detene y owing to hibe keep of north. diabierna nightfall in careda of 3’or, he c.m. 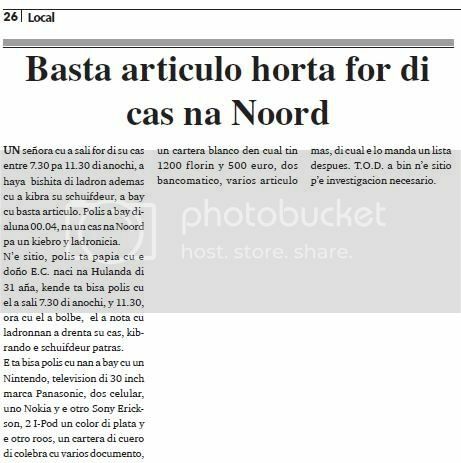 naci at estados unidos of 18 year, is bay keep of strand-politie, y is tell police cu the is kedando at one highrise hotel, y one day first for 12.15 of night past owing to wordo burn for one klapchi, hour cu this owing to sende his camisa (shirt) at candela. the is tell cu past owing to bay see vuurwerk fast moomba on beach, hour cu one guardia owing to sende vuurwerk, without notifica none person neither niether owing to percura for seguridad. 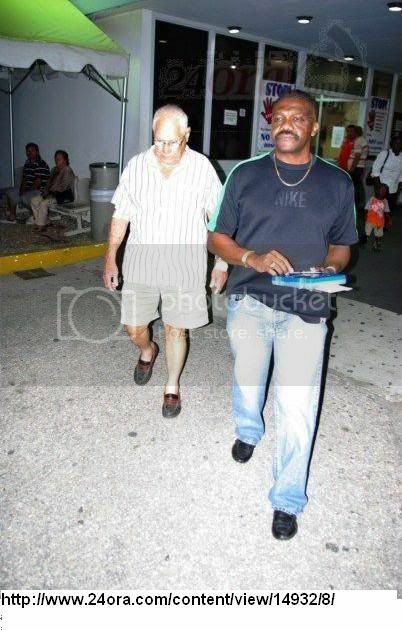 the is tell cu one klapchi owing to fly dale on his camisa y owing to sende at candela. past owing to bay poli y owing to resulta cu past owing to achieve kemadura of second degree. saturday 2.40, during cu police was patruyando in emanstraat, at height of the establecimento primera base, they're wordo stop for one person. the person is tell police cu he cu is stop near of dje, owing to maltrata two muher cu boter. 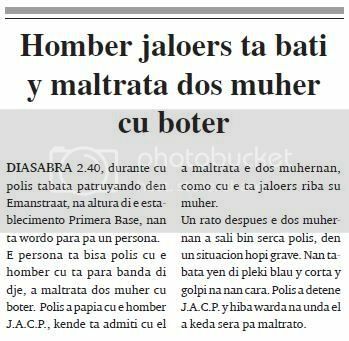 police owing to talk cu he j.a.c.p., that is admiti cu past owing to maltrata the two muhernan, because; cu the is jaloers on his muher. one rato after the two muhernan owing to leave come serca police, in one situation much important. they was complete of pleki blau y clip y golpi at they cara. police owing to detene j.a.c.p. y take away keep at where past owing to stay close for maltrato. diabierna morning 9.30, police of north owing to bay mc donald at palm beach for one caso of kiebro. n’e sitio, the manager is tell police cu his trahador owing to arrive n’e lugar 6’or of morning y owing to achieve the door of the lugar of play y also the door of office break. the manager owing to controla the lugar y not was miss nothing. on video the manager owing to observa one man cu was try break the box strong, but not owing to succeed. the was dress cu one coverall blao, cu handschoen y cu mascarada of one spiderman. the video will wordo send for recherche for follow cu the investigacion. 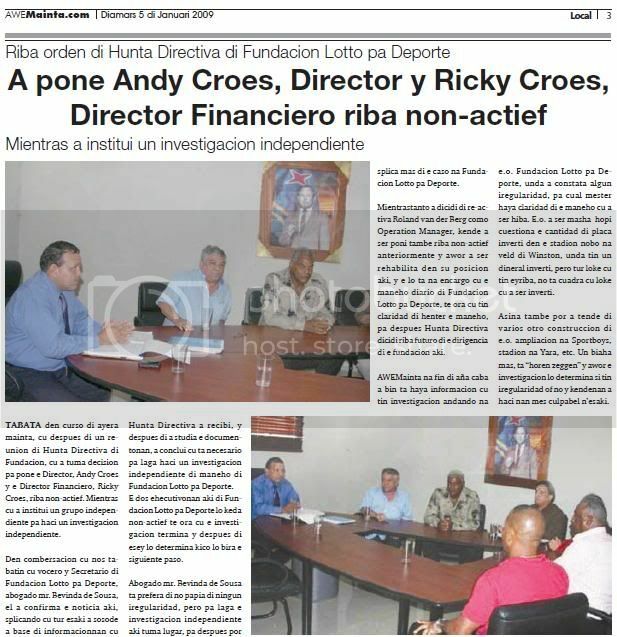 was in curso of yesterday morning, cu after of one meeting of hunta directiva of fundacion, cu did take decision for place the director, andy croes y the director financiero, ricky croes, on non-actief. while cu owing to institui one are independant for haci one investigacion independant. all this owing to sosode owing to base of informacionnan cu hunta directiva owing to recibi, y after of owing to study the documentonan, owing to conclui cu is necesario for let haci one investigacion independant of maneho of fundacion lotto for sport. the two ehecutivonan here of fundacion lotto for sport will stay non-actief till hour cu the investigacion termina y after of esey will determina kico will become the next pace. in combersacion cu we had cu vocero y secretario of fundacion lotto for sport, advocate mr. bevinda de sousa, past owing to confirma the news here, splicando cu all this owing to sosode owing to base of informacionnan cu hunta directiva owing to recibi, y after of owing to study the documentonan, owing to conclui cu is necesario for let haci one investigacion independant of maneho of fundacion lotto for sport. the two ehecutivonan here of fundacion lotto for sport will stay non-actief till hour cu the investigacion termina y after of esey will determina kico will become the next pace. advocate mr. bevinda de sousa is prefera of not talk of none iregularidad, but for let the investigacion independant here take lugar, for after can splica more of the caso at fundacion lotto for sport. all the time owing to dicidi of re-activa roland van der berg because; operation manager, that owing to being poni also on non-actief anteriormente y now owing to being rehabilita in his posicion here, y the will is at encargo cu the maneho daily paper of fundacion lotto for sport, till hour cu have claridad of all the maneho, for after hunta directiva dicidi on future of the dirigencia of the fundacion here. awemainta at end of year end owing to come is achieve informacion cu have investigacion andando at the.o. fundacion lotto for sport, where owing to constata some iregularidad, for cual have to achieve claridad of the maneho cu owing to being take away. the.o. owing to being very much cuestiona the cantidad of coin inverti in the stadion new at veld of winston, where have one dineral inverti, but all thing cu have eyriba, do not cuadra cu thing cu owing to being inverti. so also can owing to hear of several another construccion of the.o. ampliacion at sportboys, stadion at yara, etc. once more, is “hearsay” y now the investigacion will determina if have iregularidad or not y kendenan owing to haci they self culpabel n’esaki. hunta directiva of dr. horacio the. oduber hospital did take notice of two caso, cu assure owing to wing they atencion, assure hour in both caso, had dead because; result. t’asina cu diabierne ultimo, year new, one madam pregnant owing to present at first help, because the have much dolor. but the partero, m.q. cu is trat’e, owing to give of conoce, cu the not can give luz still, because the is “catatonic” at principio of feburary. the madam cu all his dolor, owing to bay cas, but owing to go back diadomingo ultimo cu more dolor still, saying the enfermera at eerste hulp cu the is feel cu the bay give luz. the enfermera will owing to check y owing to calling the partero for notifique cu the polsslag of the baby owing to bay atrás. but again the partero, via telephone owing to send the mother cu all his dolor cas, y p’e go back at his consultorio monday. is being tell now, cu según informacion the partero here was on one paranda serious, y neither although cu the mother have to owing to give luz, the will not can owing to yud’e the instant ey. owing to baby owing to nace y past owing to nace dead, for cual the famianan is of opinion cu this is debi at negligencia y is evaluando for denuncia the mature here at the.o. ministerio publico for let haci one investigacion. 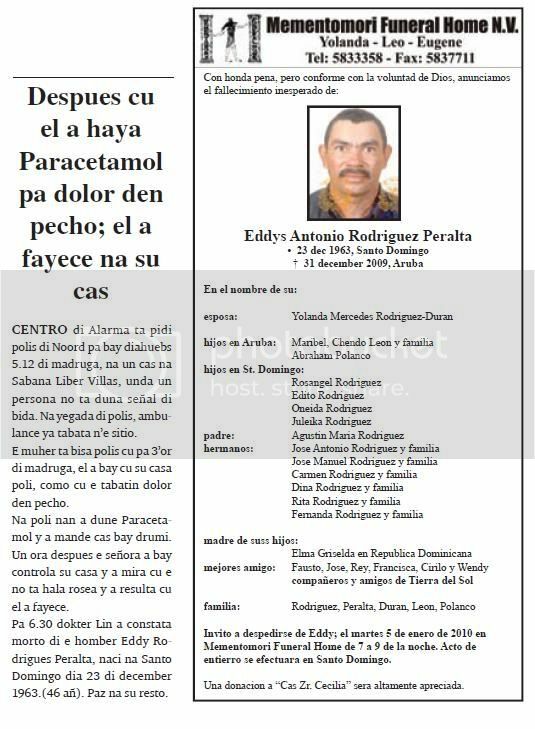 another caso cu hunta directiva of hospital is investigando, t’e caso of the paciente dominincano, eddy a. rodriquez peralta, that diahuebs madruga owing to acudi at first help at hospital, because the have very dolor in his pecho. the unique cos cu doctor owing to prescribi p’e paciente here was some pill of paracetamol. one rato after, the madam owing to descubri cu his husband not was breathe more y not owing to stay another for doctor constata cu past owing to fayece. the question cu is being haci today is, dicon not owing to notifica one medico specialista, cu de facto have to is at keep y at hospital. apparently dicho specialista not was present self, but via telephone owing to give the receta for give the paciente here paracetamol, cu ultimamente seems cu much doctor is prescirbi because; the drug cu is haci “milager”. 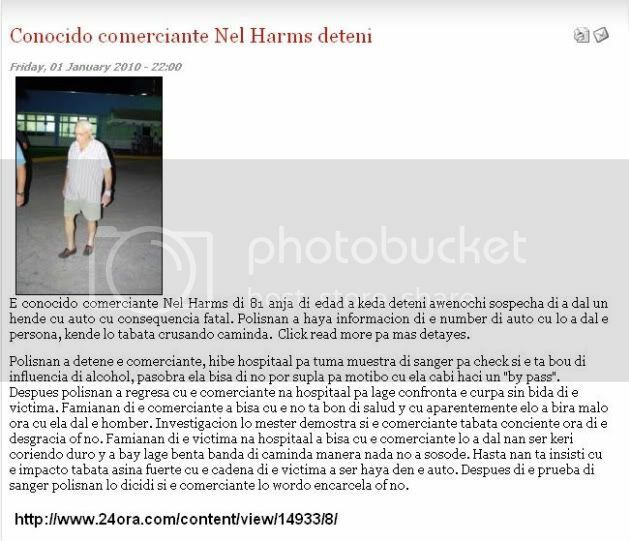 yesterday morning we did take contacto cu vocero of hospital, sr. bob harms, that owing to declara cu among tanto hunta directiva of dr. horacio the. 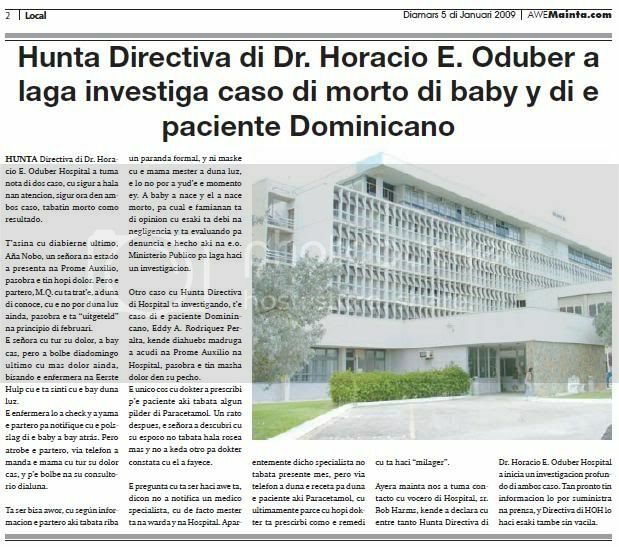 oduber hospital owing to inicia one investigacion deep of both caso. so soon have informacion will can suministra at prensa, y directiva of hoh will haci this also without vacila. One of the shoes of 34-year-old man was killed Sunday night. The driver drove by after the accident, has been arrested. ORANGE CITY - A 34-year-old man in the night from Saturday to Sunday after he deceased on the main road from Oranjestad to San Nicolas was hit. 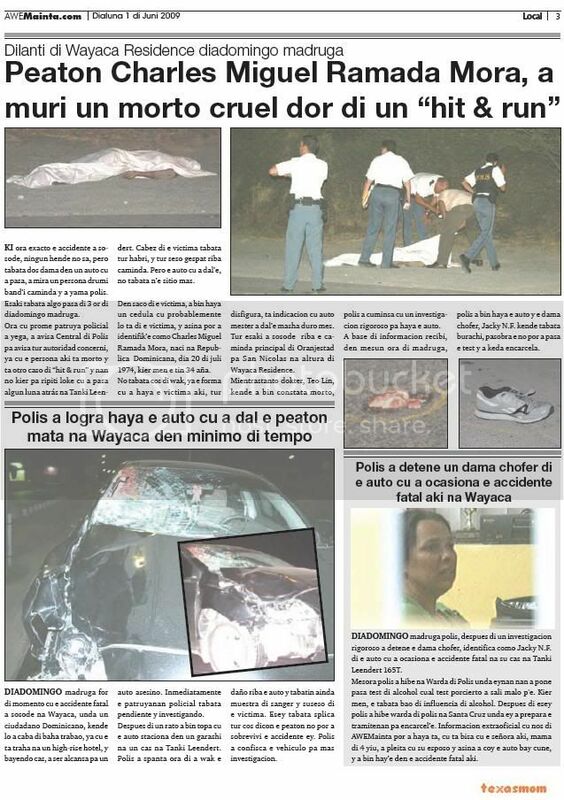 The accident happened just before three hours at night near the neighborhood Wayaca. 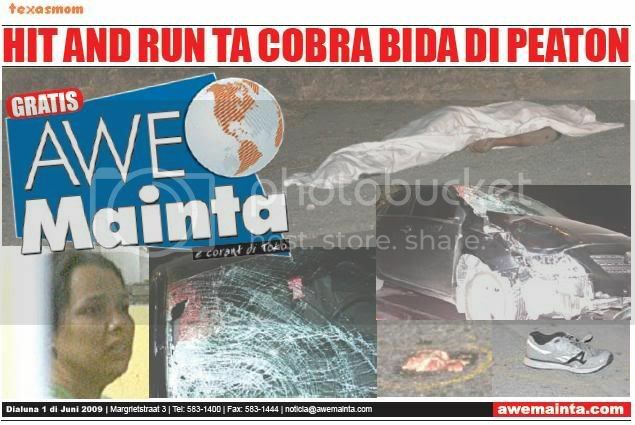 The man, Charles Ramada Miguel Mora of Dominican descent, was hit a walk along the road and was presumably killed. The driver drove by after the accident, but was arrested several hours later in Tanki Leendert. It was also a 34-year-old woman with the initials JF The woman is still being detained. The police knew the woman that she had hit someone. The proofs are convincing, the police spokesman said: "Brain parts lay on the seat beside her. The windshield and side of her car were also severely damaged and there were clear traces of blood visible. Mora was in fact a blow that hit his body fell heavily maimed. Whether the woman was drunk, the police could not confirm this morning. when exact the accidente owing to sosode, none person not know, but was two lady in one car cu owing to happen, owing to see one person sleep band’i caminda y owing to calling police. this was algo happen of 3 or of diadomingo madruga. hour cu first patrol policial owing to arrive, owing to avisa central of police for avisa all autoridad concerni, already cu the person here is dead y is another caso of “hit & run” y they does not for ripiti thing cu owing to happen some month atrás at tanki leendert. cabez of the victima was all open, y all seso gespat on caminda. but the car cu owing to dal’e, not was n’e sitio more. in saco of the victima, owing to come achieve one cedula cu probably will is of the victima, y so can owing to identifik’e because; charles miguel ramada mora, naci at republica dominicana, day 20 of july 1974, wanted mean the have 34 year. not was cos of look at, already the form cu owing to achieve the victima here, all disfigura, is indicacion cu car have to owing to dal’e very duro self. 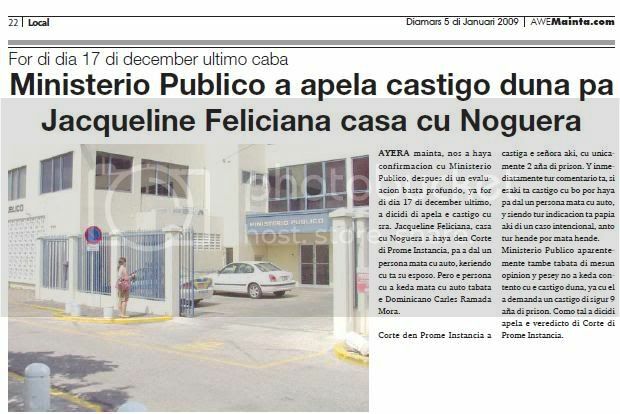 all this owing to sosode on the caminda principal of oranjestad for san nicolas at height of wayaca residence. all the time doctor, teo lin, that owing to come constata dead, police owing to cuminsa cu one investigacion rigoroso for achieve the car. owing to base of informacion recibi, in same hour of madruga, police owing to come achieve the car y the lady chofer, jacky n.f. that was sober, because the not can owing to happen the test y owing to stay encarcela. 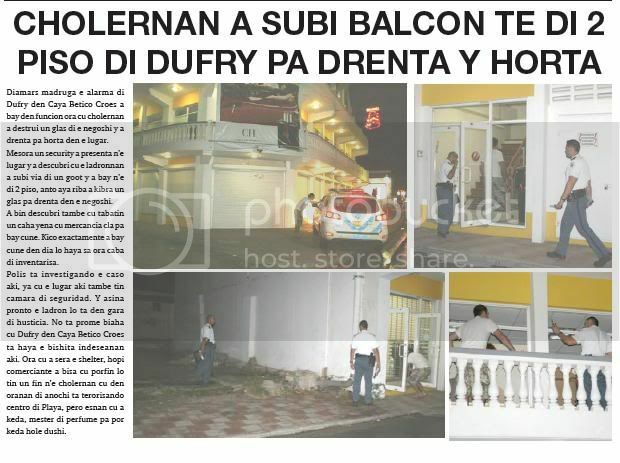 diadomingo madruga for of instant cu the accidente fateful owing to sosode at wayaca, where one ciudadano dominicano, that will owing to end of descend trabao, already cu the is work at one high-rise hotel, y bayendo cas, owing to being alcansa for one car murderer. at once the patruyanan policial was pendiente y investigando. after of one rato owing to come come across cu the car staciona in one garage at one cas at tanki leendert. police owing to spanta hour of owing to look at the damage on the car y had still sample of blood y suseso of the victima. esey was splica all cos dicon the peaton not can owing to sobrevivi the accidente ey. police owing to confisca the vehiculo for more investigacion. diadomingo madruga police, after of one investigacion rigoroso owing to detene the lady chofer, identifica because; jacky n.f. of the car cu owing to ocasiona the accidente fateful at his cas at tanki leendert 165t. at once police owing to hibe at keep of police where eynan they owing to place happen test of alcohol cual test porcierto owing to leave bad for. wanted mean, the was bao of influencia of alcohol. after of esey police owing to hibe keep of police at santa cruz where ey owing to prepara the tramitenan for encarcel’e. informacion extraoficial cu we of awemainta can owing to achieve is, cu is tell cu the madam here, mother of 4 child, owing to quarrel cu his husband y so owing to coy the car bay cune, y owing to come hay’e in the accidente fateful here. 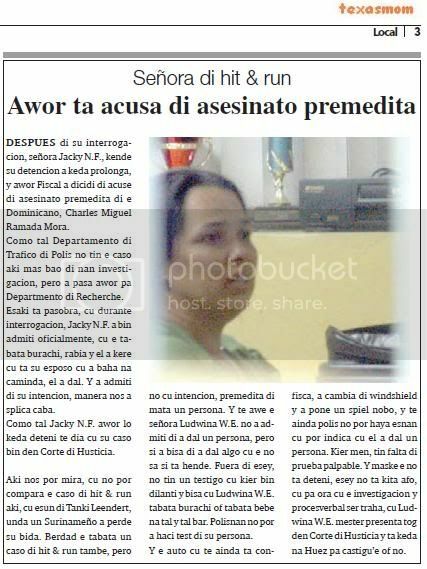 after of his interrogacion, madam jacky n.f., that his detencion owing to stay prolonga, y now fiscal owing to dicidi of acuse of asesinato premedita of the dominicano, charles miguel ramada mora. because; such departamento of trafico of police not have the caso here more bao of they investigacion, but owing to happen now for departmento of recherche. this is because, cu during interrogacion, jacky n.f. owing to come admiti oficialmente, cu the was sober, angry y past owing to believe cu is his husband cu owing to descend at caminda, past owing to strike. y owing to admiti of his intencion, as we owing to splica end. because; such jacky n.f. now will stay deteni till day cu his caso come in corte of husticia. here we can see, cu not can compara the caso of hit & run here, cu esun of tanki leendert, where one surinameño owing to lose his life. berdad the was one caso of hit & run also, but not cu intencion, premedita of kill one person. y till today the madam ludwina w.e. not owing to admiti of owing to strike one person, but if owing to tell of owing to strike algo cu the not know if is person. fuera of esey, not have one witness cu wanted come fast y tell cu ludwina w.e. was sober or was drink at such y such bar. polisnan not can owing to haci test of his person. y the car cu till still is confisca, owing to change of windshield y owing to place one spiel new, y till still police not can achieve esnan cu can indica cu past owing to strike one person. wanted mean, have miss of proof palpable. y although the do not deteni, esey do not less afo, cu for hour cu the investigacion y procesverbal being work, cu ludwina w.e. have to present tog in corte of husticia y is stay at huez for castigu’e or not. advocate chris lejuez owing to comenta on the caso of one madam under influencia of alcohol cu owing to strike one peaton (pedestrian?) cu his car kill caminda fiscal owing to ask 9 year of jail y huez of his near owing to dune only 2 year, y cual owing to cause very comentario negative in comunidad. past owing to tell cu the madam after cu past owing to leave cu his casa y owing to drink enough drinks at beach y after at savaneta. hour they owing to come downstairs his casa owing to achieve cu the is core mucho duro y cu the have fright for his life. past owing to descend for of car at height of aeropuerto y owing to march bay aeropuerto for busca one taxi. past owing to coy the taxi for bay cas. hour the is bayendo cas past owing to ripara cu police is cerando the caminda east of aeropuerto. hour past owing to arrive cas past owing to ripara cu the car was gedal y cu had blood. past owing to calling police y owing to come resulta cu his madam apparently owing to strike a near of caminda, near of entrance of wayca residence east y the person ey owing to fayece. acusacion of ministerio publico was cu the madam here concientemente y cu premeditacion owing to deal of less life of his casa y for equibocacion past owing to strike kill one another person cu according ministerio publico is look like his casa y after bay his cas place car in garage bay sleep. defence of his near owing to tell cu the circunstancianan of the caso, particularmente hour see kico owing to sosode after cu past owing to descend his casa, dus cu the not owing to stay stop where past owing to bahe cu is the caminda band’i panort of aeropuerto y owing to busca one taxi. huez owing to acepta practicamente all the ponencianan of defence cu is show cu the madam not owing to bay bek at the lugar where his casa was, cu is impossible cu the can owing to think cu his casa was till near of wayca residence end in the pair of minuutnan ey, cu besides his casa never owing to tell the personanan cu past owing to come across at aeropuerto cu his casa wanted owing to happen car on dje muy probably, y this owing to wordo tell in one testimonio. the casa was teme for his life because the madam was core car mucho duro y p’esey past owing to descend for of car. the madam self not have conocemento of thing owing to happen, the do not corda self cu past owing to descend his casa for of car, the do not corda cu the accidente owing to happen y the do not corda con past owing to arrive cas. according mr. lejuez, where cu ministerio publico owing to tell cu they're achieve cu the madam was core car good very well, because near of caminda not had one spoorstrip of the car, owing to resulta cu one some but after one police owing to see the madam bayendo his cas is sling on caminda y for of this huez owing to deduci also cu the madam apparently was baby y sober behind stuur hour cu past owing to bay his cas. cu not had motibo for think cu the madam was conciente y know good kico the is haci. finalmente huez owing to arrive at the conclusion cu the is achieve cu do not prove cu the madam concientemente or cu premeditacion owing to try kill his casa. past owing to declara the madam pound of the acusacion ey. without embargo the is achieve cu the madam have culpa of the accidente cu owing to sosode because the madam owing to arrive of achieve black out after of drink alcohol in pasado y past owing to achieve also cu the madam have to owing to realiza cu the not have to owing to core car. huez owing to haye culpabel of owing to cause one accidente by of his culpa y owing to sentenci’e. exigencia of fiscal was 9 year of jail y huez owing to dicta one setencia of 24 month. mr. chris lejuez is tell cu his cliente is extremely contento, cu the is satisfecho cu the sentencia because past owing to come is tell always cu the not have motibo for busca less life of his casa. provided that todo caso, the discusion is stay strong in people of con one person cu owing to less life of one inocente, cu or without premeditacion or intencionalmente is achieve one castigo of only 2 year of jail. owing to arrive instant for evalua we leynan, because one person cu is core sober y is less life of one another is self culpabel cu esun cu owing to haci’e cu premeditacion, already cu at none instant the have to owing to sit behind stuur. yesterday morning, we owing to achieve confirmacion cu ministerio publico, after of one evaluacion enough deep, already for of day 17 of december ultimo, owing to dicidi of apela the castigo cu sra. jacqueline feliciana, casa cu noguera owing to achieve in corte of first instancia, for owing to strike one person kill cu car, keriendo cu is his husband. 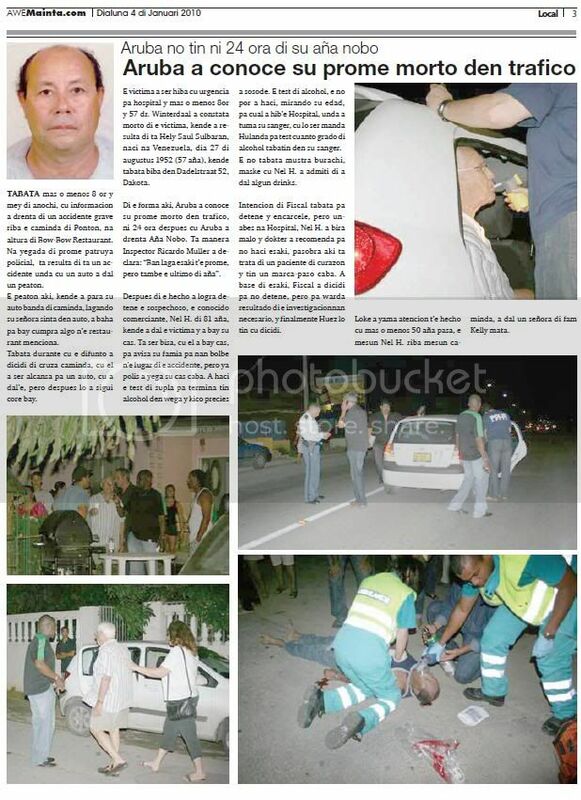 but the person cu owing to stay kill cu car was the dominicano carles ramada mora. corte in first instancia owing to castiga the madam here, cu unicamente 2 year of jail. y at once all comentario is, if this is castigo cu could you achieve for strike one person kill cu car, y siendo all indicacion is talk here of one caso intencional, then everybody can kill person. 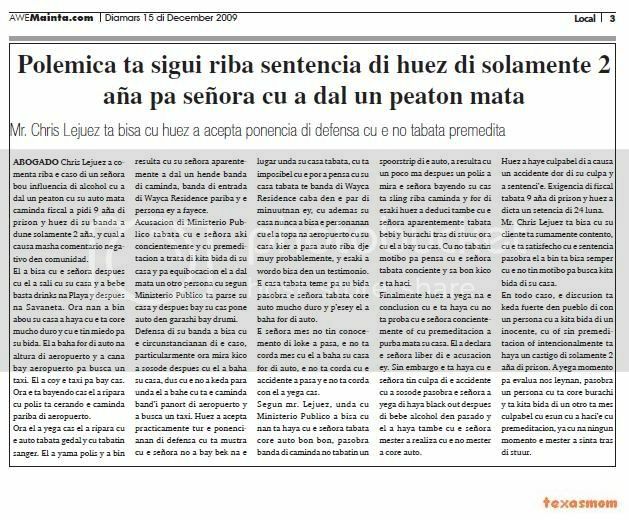 ministerio publico apparently also was of same opinion y pesey not owing to stay contento cu the castigo give, already cu past owing to demanda one castigo of assure 9 year of jail. because; such owing to dicidi apela the veredicto of corte of first instancia. yesterday in oranan of morning departamento of aduana (customs) was controlando the botonan cu is regresando for of corsow caminda cu they owing to participa in the funk dag, caminda among another one parlmanentario of oposicion also owing to participa. in one of the yatenan controla owing to come achieve drugs. can owing to compronde cu do not deal of one cantidad big of drugs, but more bien for usage personal. but so self, owing to dicidi of detene everybody abordo of the yacht here. can owing to compronde cu is deal here of the boat of one family conoci at aruba, y owing to bordo had some person conoci at we island also. mucho more informacion not owing to being suministra for aduana, y as owing to being tell, because; is deal of “un tiki” drugs, the not important for detene none person, cu as conoci, is being tell of is for own usage. the drugs cu owing to being achieve, is one bit marihuana. diadomingo night, madam t., is calling police y is tell they cu his neighbour is of remate y is break glass of his bentananan y also owing to destrui his door of cas. police owing to bay y is notice cu he neighbour r.h. owing to cause one destruccion overall at home of t. but at instant cu police owing to arrive n’e cas, r.h not was more n’e sitio. one rato after, t. is go back calling police, because; cu r.h. the trip here, owing to come cu one cantidad of stone y was bombardia the roof cu stone. one of the piedranan owing to alcansa glass behind one car y owing to break. police owing to arrive at time y owing to detene r.h. y owing to hibe keep, where past owing to achieve one cuarto free. Page created in 5.714 seconds with 19 queries.